The LG Stylo 2 PLUS is a 4G LTE phablet that comes with a 5.7-inch LG IPS Quantum display panel with a 720x1280 resolution and 258ppi index. Powering the device from within is an Octa-Core 1.4GHz Qualcomm Snapdragon 430 processor with 2GB of RAM and the Adreno 505 GPU. Aside from its 16GB onboard storage, the LG Stylo 2 PLUS comes with a microSD card slot for up to 2TB memory expansion. Camera-wise, the phone is equipped with a 13MP rear-facing camera with 1080p HD video recording and a 5MP camera in front. Its removable 2,900 mAh Li-Ion battery helps it last up to 19 days in standby and 20 hours of talk time. Upon release, the phone runs on the latest Android 6.0 Marshmallow OS. The phone comes with a fingerprint reader and stylus. Save $60 on the LG Premier Pro LTE Was: $99.99 Now: $39.99 and Free Shipping. Save $20 on Google Home Hub, plus free shipping!. Get the LG Exalt for just $6/month! Plus, free shipping. Online Exclusive: Save $350 off LG G8! New line req&apos;d.
Save $350 off LG V40! 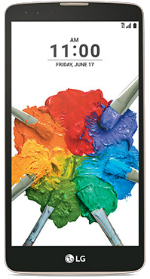 New line req&apos;d.
Save $40 on an LG Stylo 4 Was: $199.99 Now: $149.99. Galaxy S9 Plus Was: $829.99 Now: $729.99 with order of Service Plan. Fios 300/300 Mbps Internet $59.99/mo for 2 yrs with no annual contract plus 6 months of Netflix on us (auto pay rqd). Save$50 on a Gizmowatch, plus waived activation. Discount shown in cart. Fios Gigabit Connection+ TV + Phone - $79.99/month for 2 years. Plus 1 year of Netflix premium on us (auto pay & 2 yr agmt rqd).